This powerful dit da jow has been aged for two plus years, and is sold “premade” in two different sizes. Choose between 4 and 8 ounce sized bottles. The cost for 4 ounce of this jow is $15.99 and the 8 ounce bottle is $29.99 ($15.99 + $14.00). To purchase, click the above “Description of what’s Available” device. Larger sized bottles of premade jow are available on special order (either 16 or 32 ounce, or by the gallon). Please contact us for a price quote. 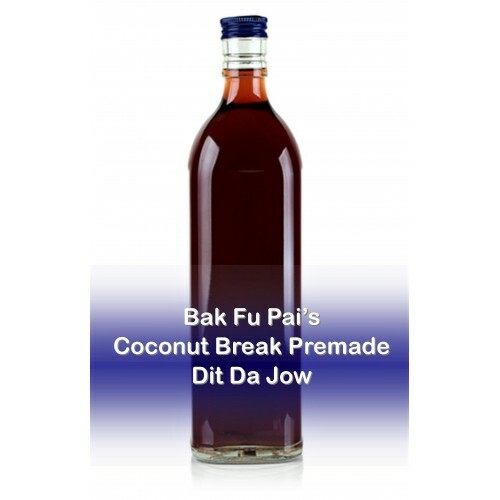 The Bak Fu Pai's Coconut Break iron palm dit da jow is a 600-year old prescription used in the White Tiger Kung Fu System. Arguably one of the most renowned iron palm prescriptions ever invented, the Bak Fu Pai iron palm formula contains thirty ingredients which include the powerful xue jie, song jie, mo yao, rou cong rong, rare animal bones and xu duan. 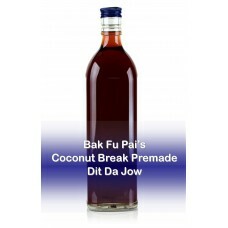 The Coconut Break Jow is widely used by White Tiger Kung Fu practitioners. The formula was created by Fung Doe Duck the chief fighting abbot of the Shaolin Temple. This dit da jow should be used by rubbing the liquid into the hands, feet, arms and legs (do not rub into the torso or on the face/head). 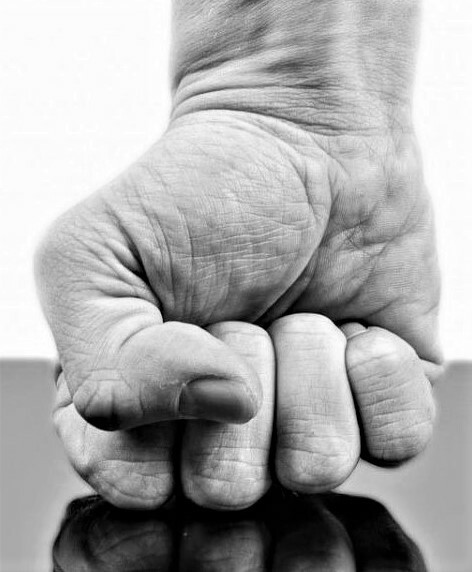 This ready-made dit da jow should be applied before and after each workout. Allow the jow to fully penetrate and remain on the body for 30 minutes prior to washing it off.